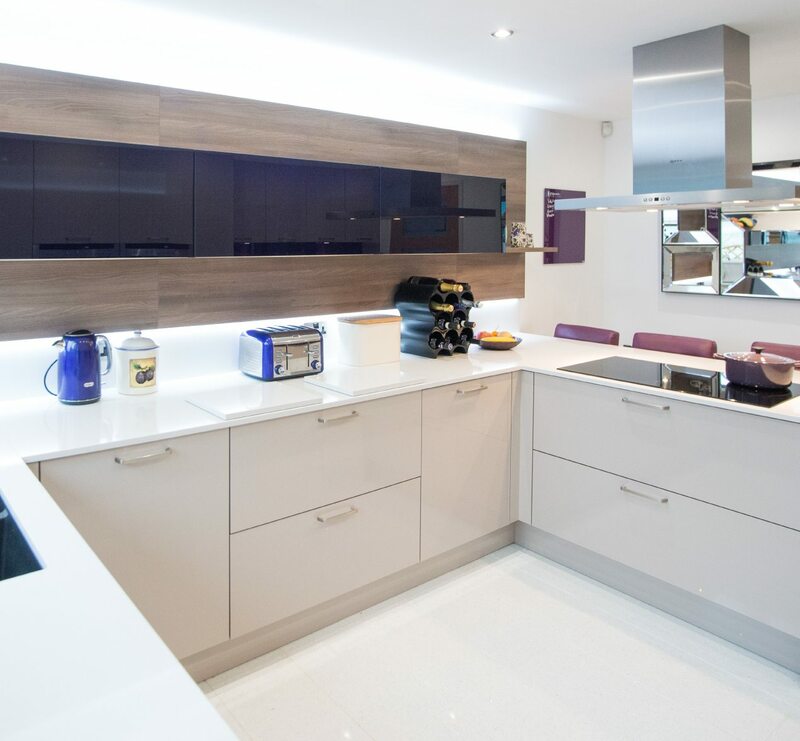 Wanting to bring their kitchen into the 21st century, a Barrowford couple opted for the very best German engineered units as well as all the very latest hi-tech appliances from Neff. 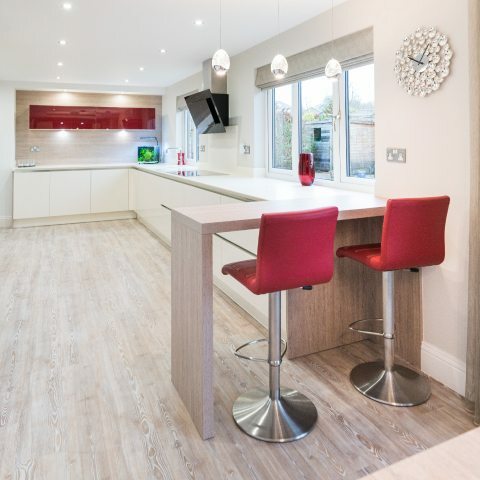 Instead of moving house, Andrew and Anita Millington decided to completely remodel their kitchen at their modern family home in Barrowford. 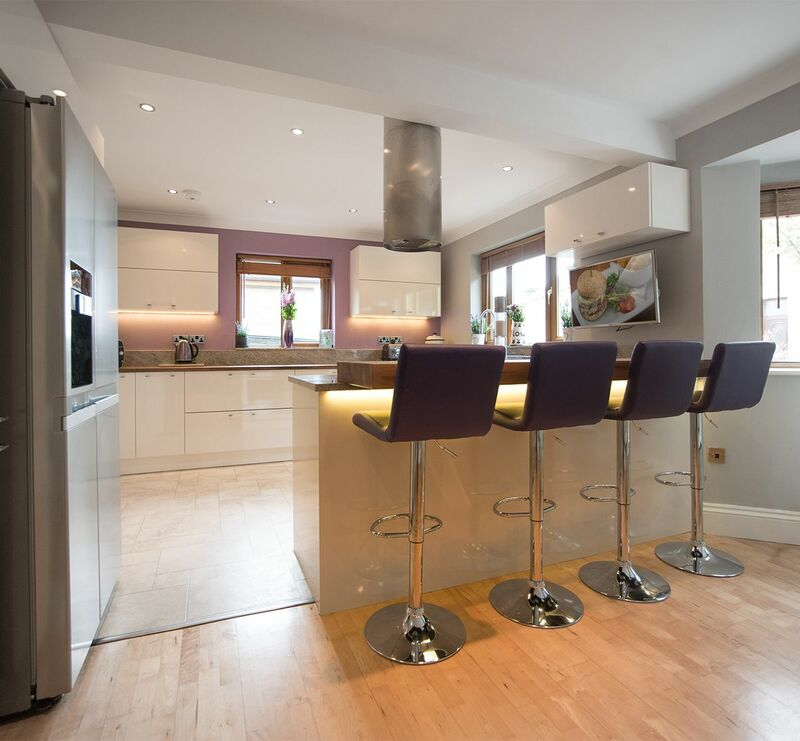 They had seen a couple of neighbouring homes that had commissioned Kitchen Design Centre and were so impressed that they asked Maxine Hutchinson of Kitchen Design Centre in Colne to completely redesign their kitchen. Knocking two walls down meant that the whole space could be opened up, as Maxine explains “The old kitchen was the original that came with the house when it was built”. It was quite dated and not really to their taste so Andrew and Anita decided to completely update it. 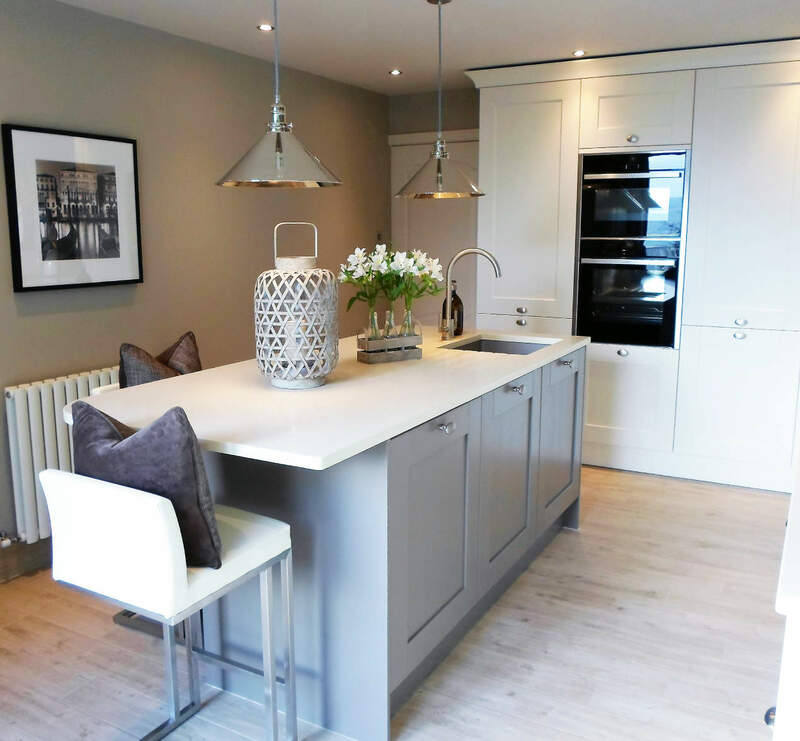 The kitchen was originally 3 rooms which comprised of a kitchen, dining room and utility room. In the customers mind they wanted to remove the wall between the kitchen and dining room but Maxine suggested removing the utility wall to open up the kitchen side of the room, which created a perfect space to house three tall housing units and allowed the the new design to relocate the utility to the garage. 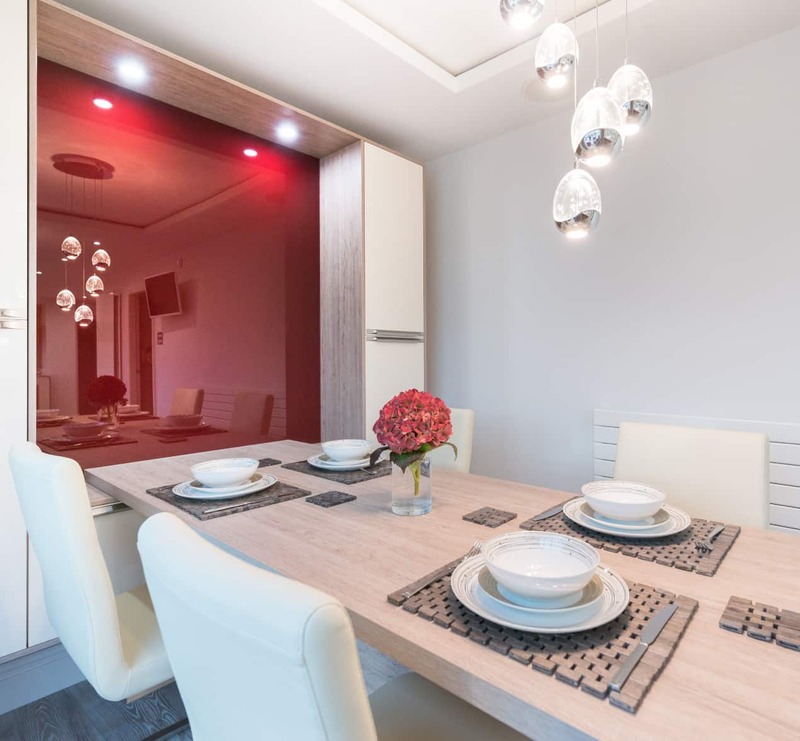 Anita had a firm idea of a colour scheme, and liked the idea of red as an accent colour so Maxine incorporated wine red glass into lift-up wall unit doors, and wall panels above the dining table. The units in the kitchen were handlesless in lacquered high-gloss Magnolia and these were teamed with a Vanilla Corian worktop with a ‘shark-nose’ edge which gave easier access to the handless trim. The worktops continued into the window sills, which were at the same level. 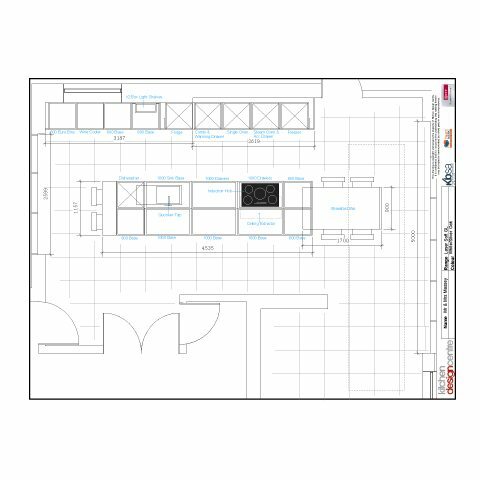 Silk Grey Oak was introduced into different areas of the room, which included the dining table, breakfast bar, and a feature panel behind the lift up wall units. 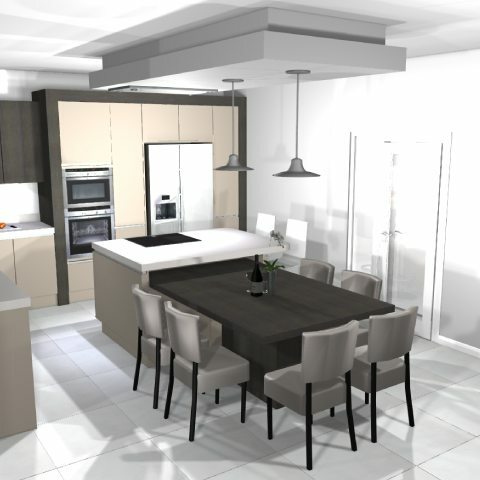 Striking cream and black colours than running throughout create a stunning contrast with the doors and worktop. 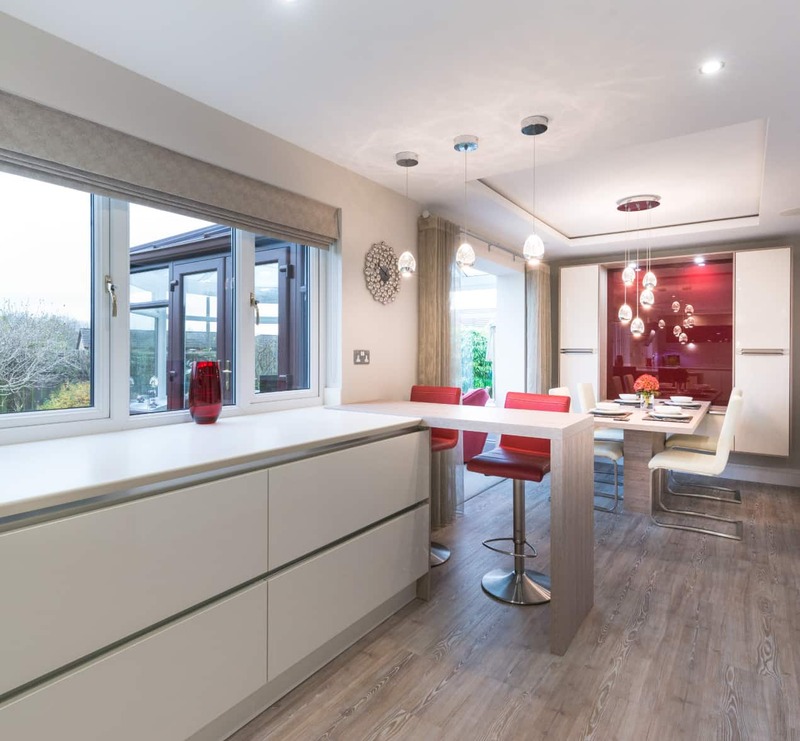 Anita and Andrew opted for Neff appliances which included a slide-and-hide oven, a combination oven microwave, warming drawer, full larder fridge and larder freezer, dishwasher, an 800mm flex induction hob and an angled extractor. 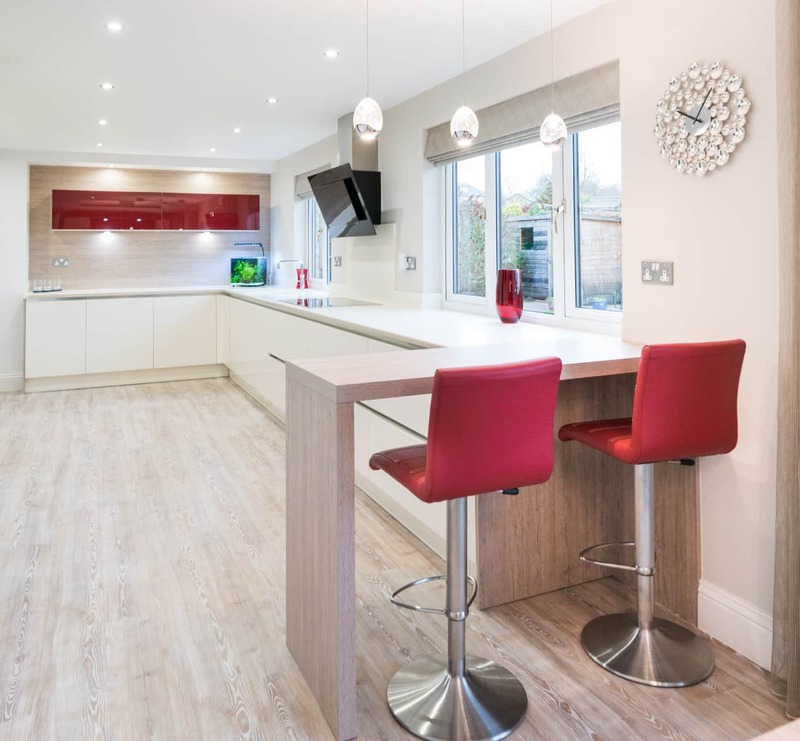 Impressed with the visuals Maxine had created, the Millington’s wanted to totally update the kitchen in terms of the design and technology. 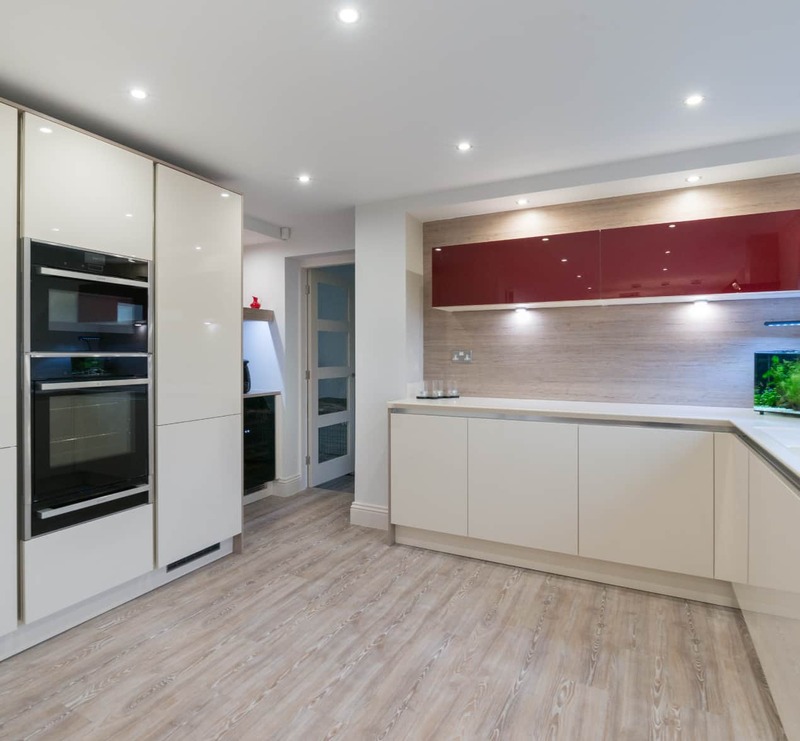 “We opted for Magnolia gloss doors, which is much softer than white and I wanted Corian as I wanted the overall finish to be smooth without any joints and avoiding the use of tiles. The red glass on some of the fascias continued this so it brought the whole scheme together. 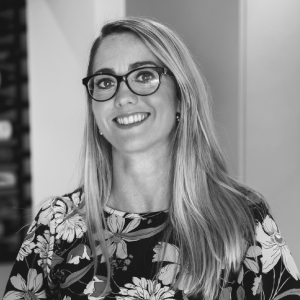 We also had experience of Neff before so we opted for all of Neff’s latest appliances as we want everything to be as up to date as possible,” adds Anita who works part time for the NHS. Andrew is an operations manager and the couple have a 19-year-old daughter who is currently studying at university. "The end result is a kitchen that is modern with clean, crisp lines. We are absolutely thrilled with it"
"When they decided not to move they didn’t want to compromise on anything and the end result is stunning. They love it!"